The Samsung PN50C7000 50 inch flat panel Series 7 Plasma HDTV features 1080p Full HD (1920 x 1080) resolution, a sleek Touch Of Color Design with E3-Panel Single Filter Design. The Samsung pn50c7000 also has an amazing Mega Dynamic Contrast Ratio and 1ms Response Time. 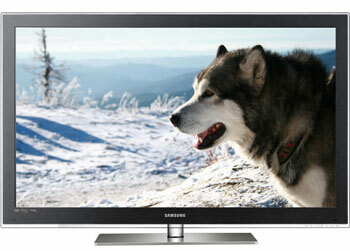 The Series 7 Samsung TV's also have 3D HDTV processing with optional Samsung 3D glasses. The Samsung PN50C7000 has a Built-In ATSC/NTSC/Clear QAM Tuner.